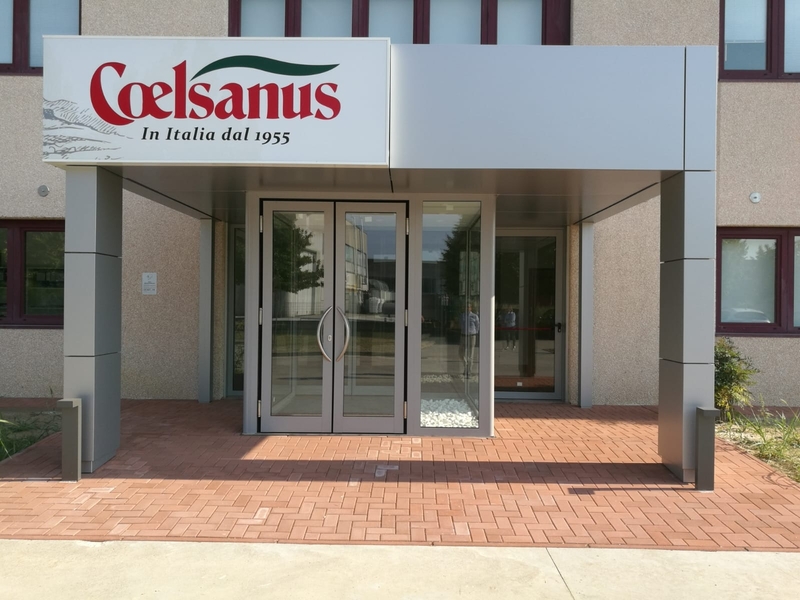 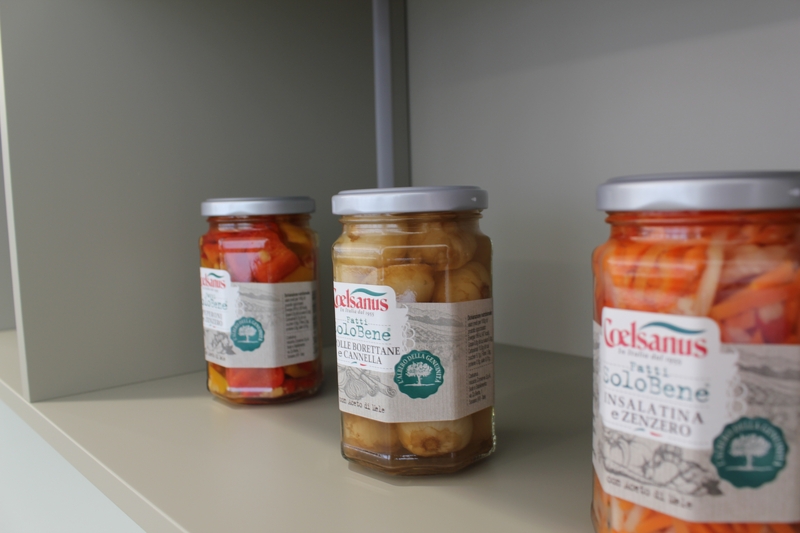 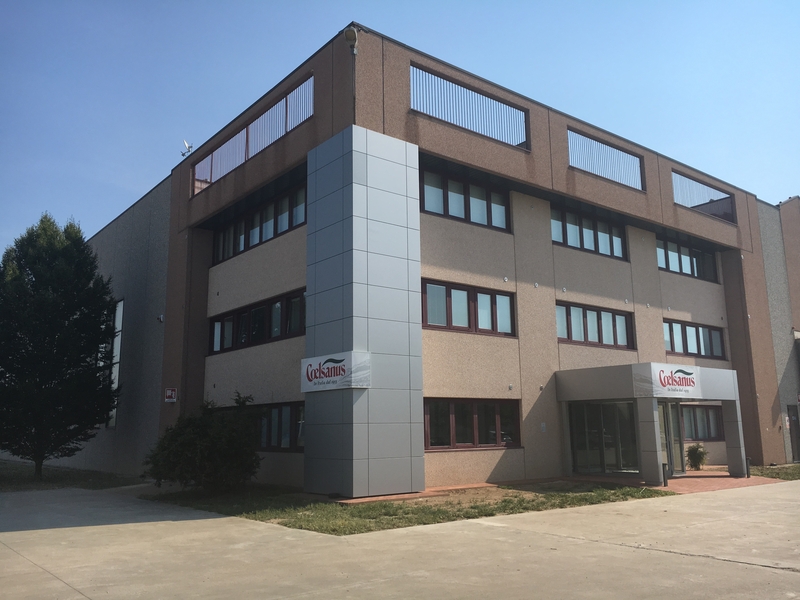 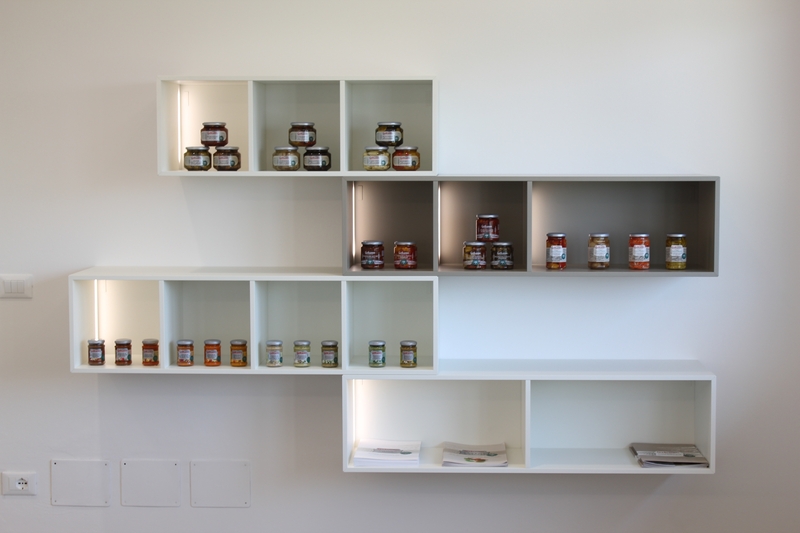 After the acquisition of a plant in Orgiano (Vicenza) by the important food brand Coelsanus (www.coelsanus.com), Contec Ingegneria has been commissioned to redevelop the office building, in order to adapt the spaces both for operational use and for company representation functions. 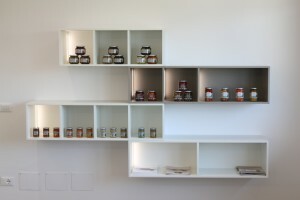 One of the aims to be achieved in this new location – integrated morphologically and functionally in a site for logistics – was the reception to external visitors, transferring a sense of sober efficiency in a more modern style than the existing offices in the Coelsanus headquarters, dating back to the seventies. Therefore the intervention concerned the outdoor area, where a corner totem was set up. 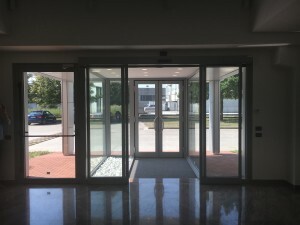 Near that, a platform roof protects a new glazed entrance area that highlights the access to the offices compared to the monotonous front of the logistics warehouse. 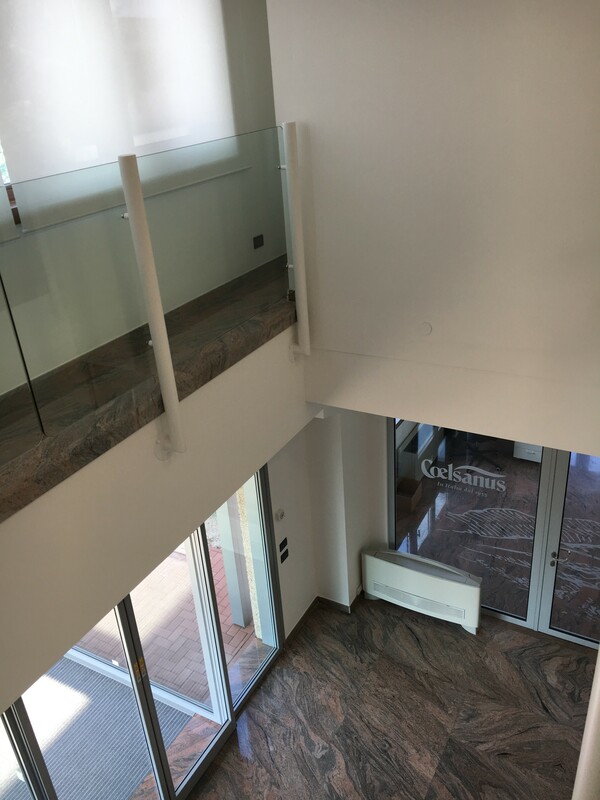 On the ground floor the entrance is dominated by an interesting double-height empty space and enhanced by a staircase with cantilevered elements and glazed parapet on a metal structure. 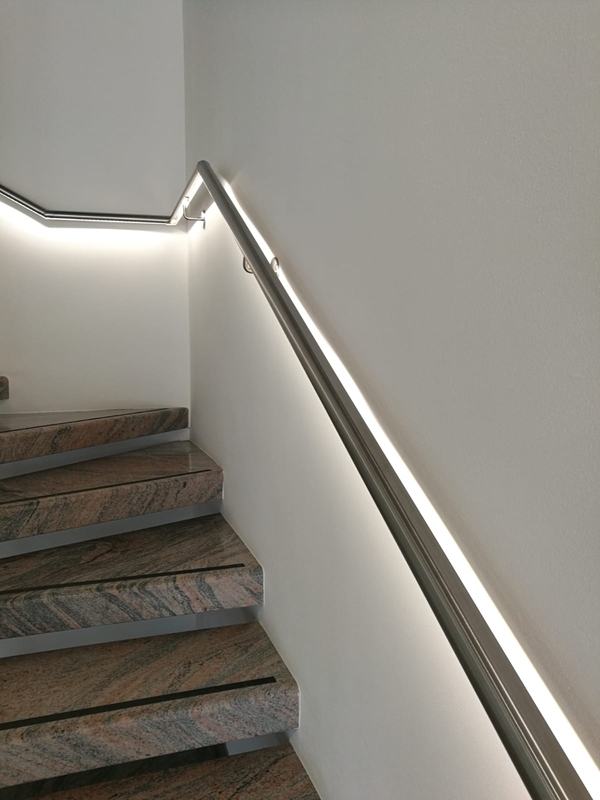 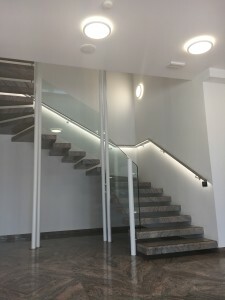 Not intervening on the flooring, the commitment focused on the characterization of the space thanks to the light, through a new general lighting system, integrated into the new handrail. 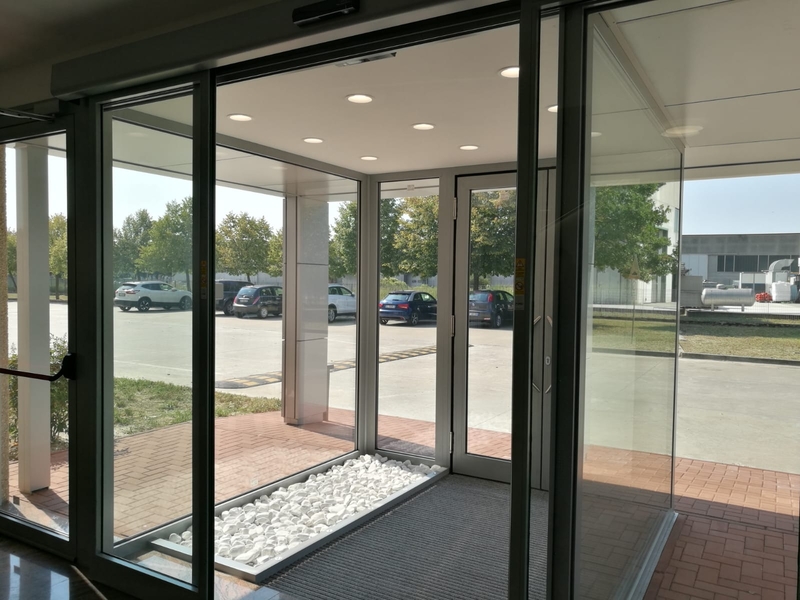 In addition, an existing blind partition has been replaced with a new glazed partition, to allow the entrance to be controlled directly from the offices. The side towards the outside, protected by the new platform roof, has remained entirely glazed including the emergency door and the entrance area with automated sliding doors. 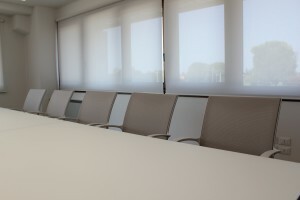 The office furniture was chosen with Coelsanus preferring a sober and linear style, with a predominance of white color. 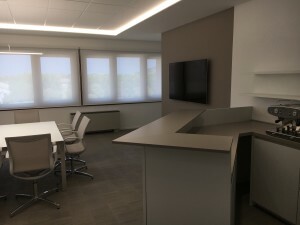 In the operative and directional offices, a sound-absorbing counter ceiling was provided to improve the acoustic comfort, suffering due to the existing type of flooring. 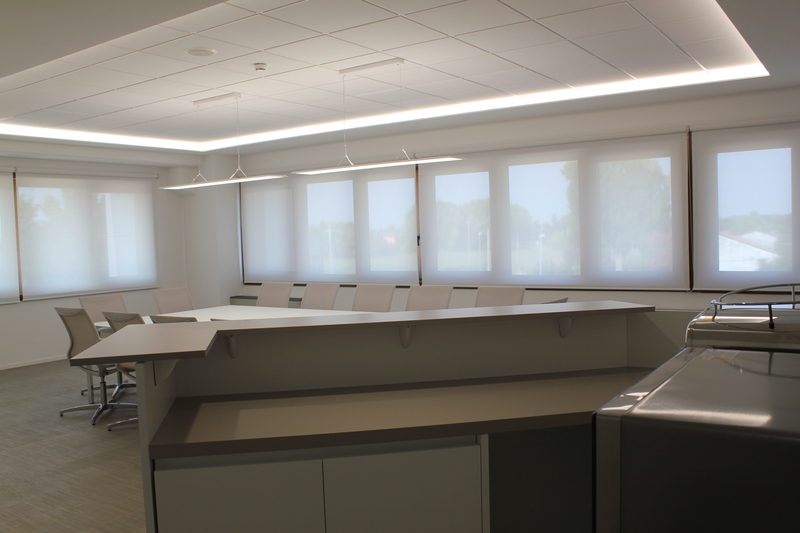 The lighting comfort has been realized with microprismatic dimmable LED elements recessed into the counter ceiling. 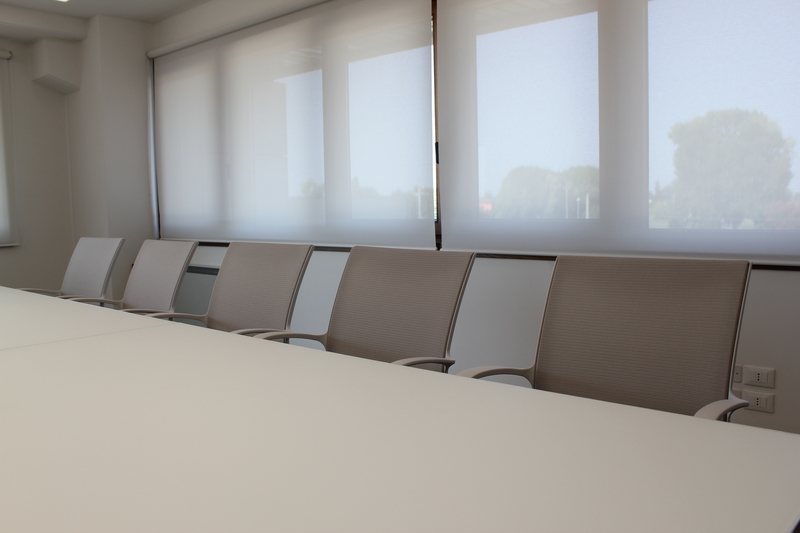 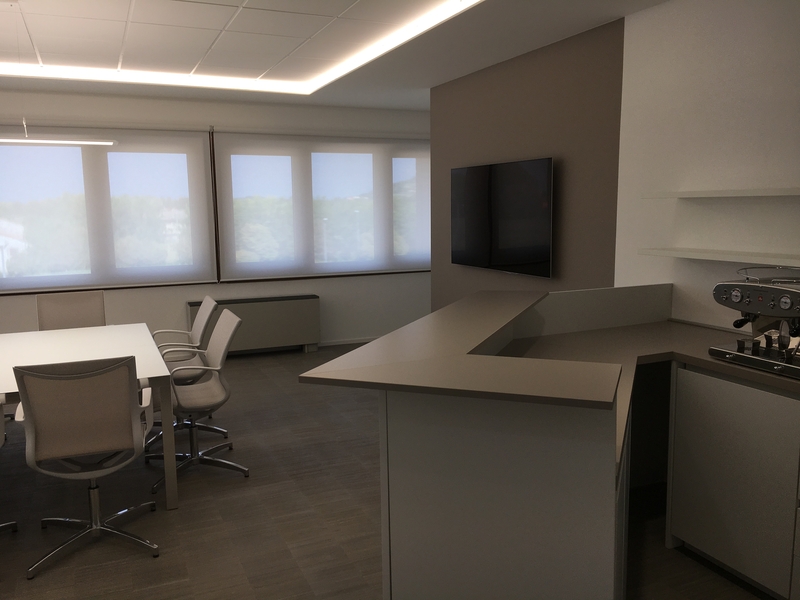 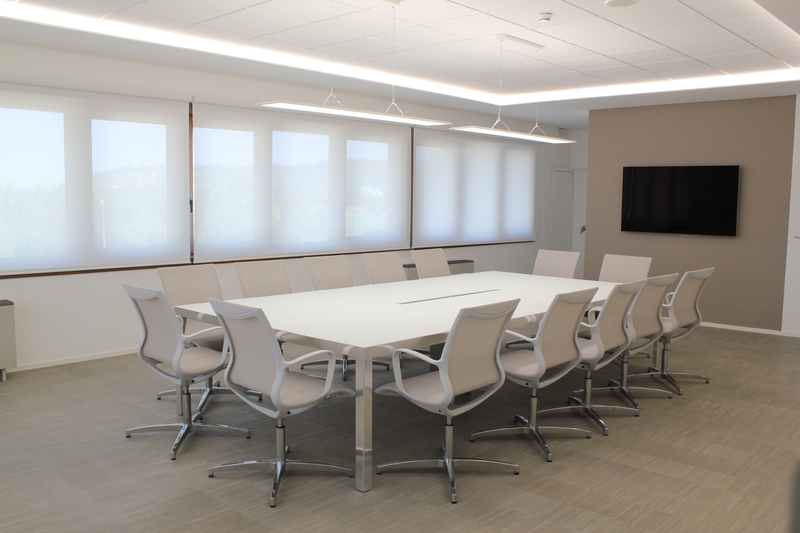 Particular attention has been reserved to the meeting room on the second floor, which is enhanced by a large table with a glazed, white back-painted glass surface. 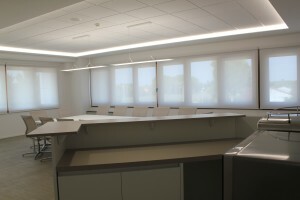 The counter ceiling has been realized on two distinct floors underlined by a specific LED line, keeping the high acoustic performances intact. 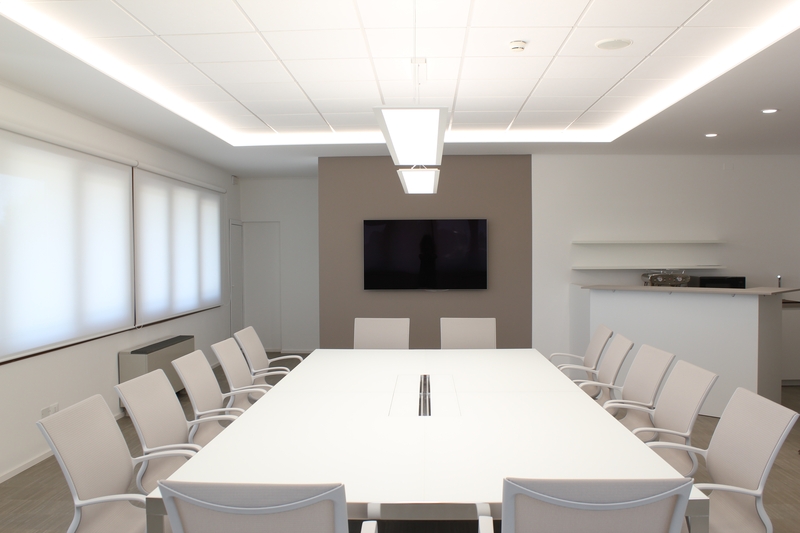 On the table axis, two specific suspended lighting elements. The furnishings are completed by an illuminated display with some products of the company and a counter for catering for guests during the meetings. 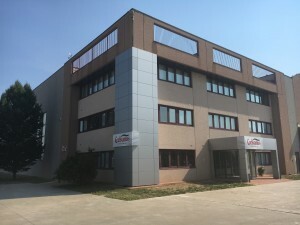 The staff of Contec Ingegneria, that dealt with the design of the offices, includes the engineers Stefano Savoia, Christian Udali, Elena Padovani and the architect Chiara Patuzzi.